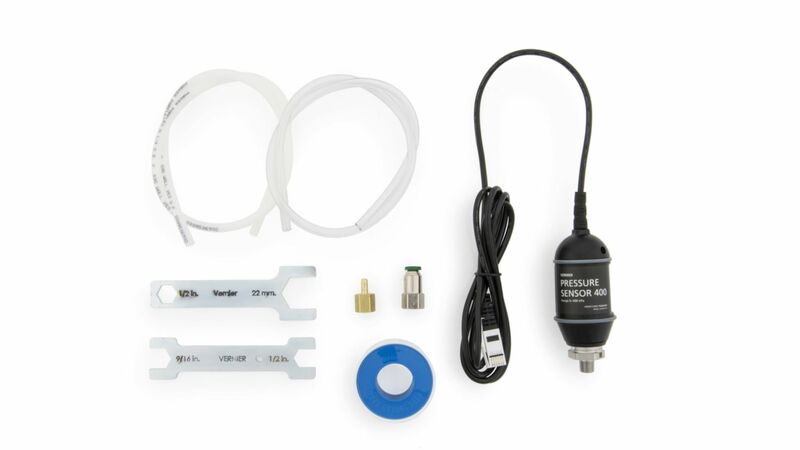 The Pressure Sensor 400 is the optimal sensor for conducting physical and analytical chemistry experiments, such as approximating the adiabatic expansion of a gas, Charles’ law experiments, and ideal gas law investigations. It measures absolute pressures from 0 to 400 kPa and operates with excellent accuracy over a wide temperature range. The robust metal fittings allow for a tight, leakproof seal to reaction apparatus.